The first step in real estate investment is finding the most convenient destination that guarantees the highest profit rates. 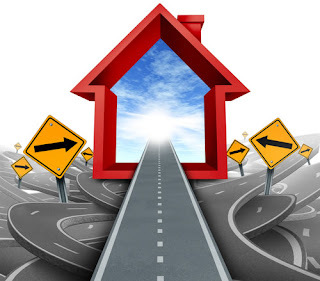 The good thing about real estate investors is that they are always open to ripe buying options wherever they are. That’s why we will pile here a list of international property investment hubs that feature good potential and are expected to see investment hipe in the near future. The real estate market in Pakistan is witnessing a remarkable growth, new residential developments are currently mushrooming throughout the country to meet the big gap between houses supply and demand. Today, different freehold real estate products are showcased in many property exhibitions around the Middle East including Dubai, Abu Dhabi, Cairo, and other. The displayed products vary in standard, price, type, and all other specifications. Over the course of last decade, Pakistani metropolitan cities witnessed a great transformation in urban reality to accommodate the influx of population from rural areas. New residential and commercial were built, and yet more projects are in the pipeline. Moreover, Pakistan enjoys a sturdy purchase power as the country passed its political and economical hardships and now heading towards stability. With its advantageous sales prices, Portugal is drawing investors’ attention these days. The country’s central cities feature strong rental yields and remarkable appreciation in value one year after another. Moreover, most properties in Portugal display scenic views, the surrounded ecosystem is also magnificent composed of hills, vast greeneries, beaches, and extraordinary architecture styles. The caribbean paradise offers a handful of special advantages to potential buyers. First of all, unrivalled climate and environment. Also, Dominican features low sales price especially when compared with other options, it lies in a strategic location near US, Mexico, and South America, Moreover, it has a stable economy that enables a significant development in infrastructure and real estate development. This composition is likely to leverage properties value to rise in the future. Days of political and security tensions are now over in Colombia as drug smuggling cartels were largely subdued. Now Colombian metropolitans like Medellin and Guatape feature fervent real estate construction activity and vibrant investment movement since the country grants foreign property holders complete constitutional protection. Also, real estate prices are from the most affordable worldwide, investors can find a regular one bedroom apartment for $55,000 and more affluent options for less than $100,000. Colombia is now more stable, it has a nice climate, and it lies in a strategic location, which makes it bound to significant development in the future. Bahrain is a small island in the Arabian Gulf only 20 kilometers away from Saudi coast. In 2000, the government passed a decree enabling foreign real estate buyers to purchase properties in Bahrain in certain locations. After nearly 17 years of this decision, these defined freehold locations became the most vibrant in the kingdom teeming with upscale residential developments along with various recreational and entertainment venues. Areas like Juffair, Seef, Amwaj, and Durrat Al Bahrain are seeing great transformation thanks to the influx of foreign buyers, especially from the surrounding Gulf estates. After surviving the real estate crash in 2008 and the political turbulences of 2011, the Kingdom is now more stable promising very lucrative real estate investment options for buyers and it’s currently the second largest hub in GCC after Dubai.